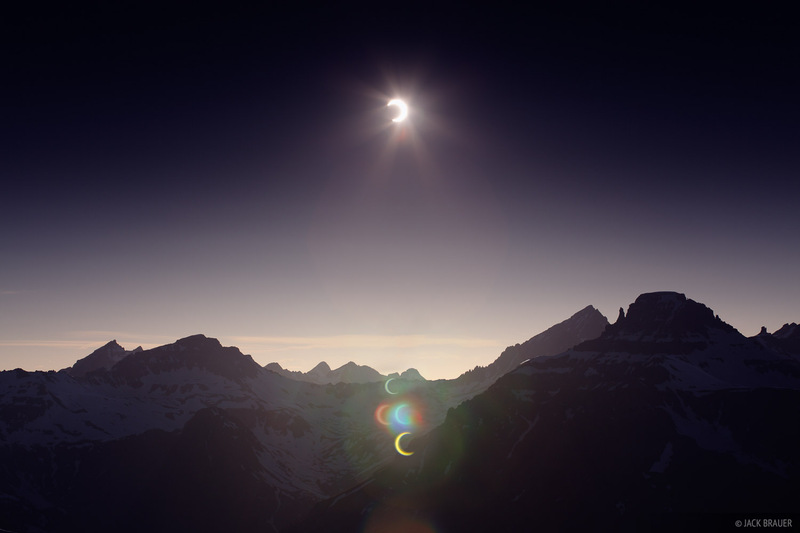 The peak of the May 2012 annular solar eclipse above Yankee Boy Basin. Potosi Peak is on the right, with Mt. Sneffels behind. At the bottom you can see the solar eclipse as refracted in the lens flare. Photo © copyright by Jack Brauer.